For Marley Dias, reading quickly became one of her favorite things to do to a boring chore. Instead of reading about girls like her, with hair like hers, and skin the same color as hers, she was forced to read about white boys and their dogs all throughout fifth grade. Granted, she had to do that before fifth grade, too, but with a little more leniency. With a stricter reading list now, it’s harder for her to read books with diverse main characters. Let’s stop here for a minute. If you are not like Marley, then you might not understand the gravity of this situation. You may never have had to worry about finding Barbie dolls that looked like you, either. But representation is everything, especially to young children. If you could cater all kinds of media and products to represent your child as much as possible, so that they knew they could do or be anything, wouldn’t you? Representation matters because it’s what your child looks to as they grow up; they want role models who look like themselves because it helps them imagine that one day they could be president or an athlete or an actress. And whether this representation comes in the form of skin color or disability or anything else, it also shows young, impressionable minds that they aren’t any different (or any less) than everyone else. Marley Dias knows this. And at 12 years old, she knows that it isn’t right that only 8.4% of trade books published in the U.S. last year had an African-American main character. Not only that, but other girls of color like Pacific Islander, Native American, and Latino were practically non-existent. But instead of complaining or shrugging her shoulders and dealing with it — because this number shouldn’t be a shock to anyone — she did something about it. 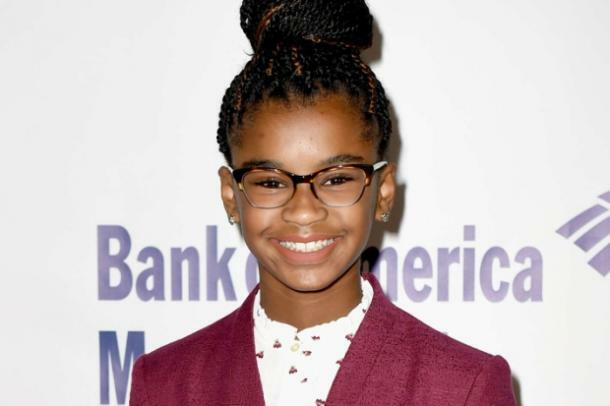 In 2015, and at just 10 years old, Marley decided to start #1000BlackGirlBooks. Her mission was to collect 1,000 books that featured black girls as the main character. 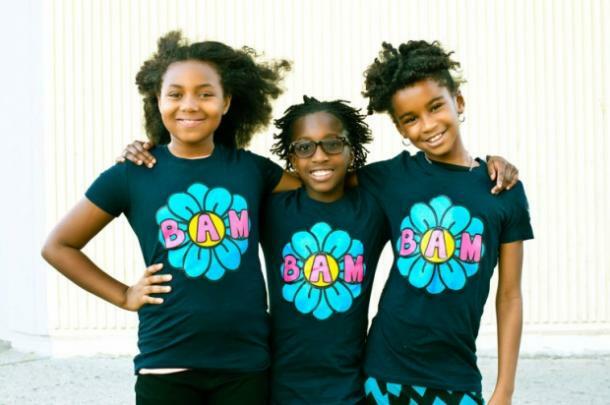 Along with her two friends Briana and Amina — the other two members that make up the social activist group known as BAM — Marley set out to collect these books where black girls were the protagonists and donate them to communities. She not only wanted representation for herself (and BAM), but for black girls everywhere. To her, representation is more than just being able to relate to a character that looks like you; it’s also about learning more about who you are and reinstating the dimensions of self that are important for the growth of your girls, instead of having a one-dimensional character with no history or path. 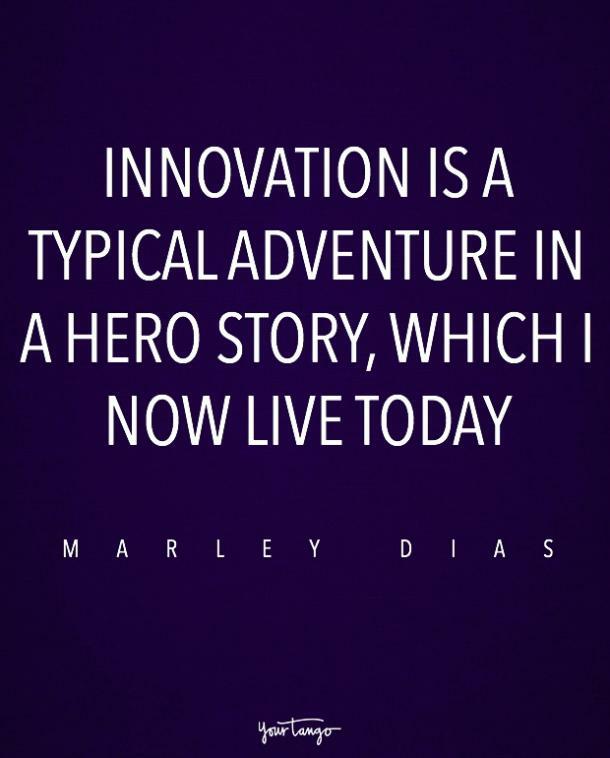 Marley also spoke at the 2017 Forbes Women’s Summit, which centered on the theme “Navigating a New Tomorrow,” an incredibly significant topic to Marley’s own story. At the summit, where she was surrounded by other successful and determined ladies of color including actress Kerry Washington and Natalie Warne, she spoke about how not seeing the representation black girls not only need, but deserve, turned her frustration into a true #BlackGirlMagic movement. 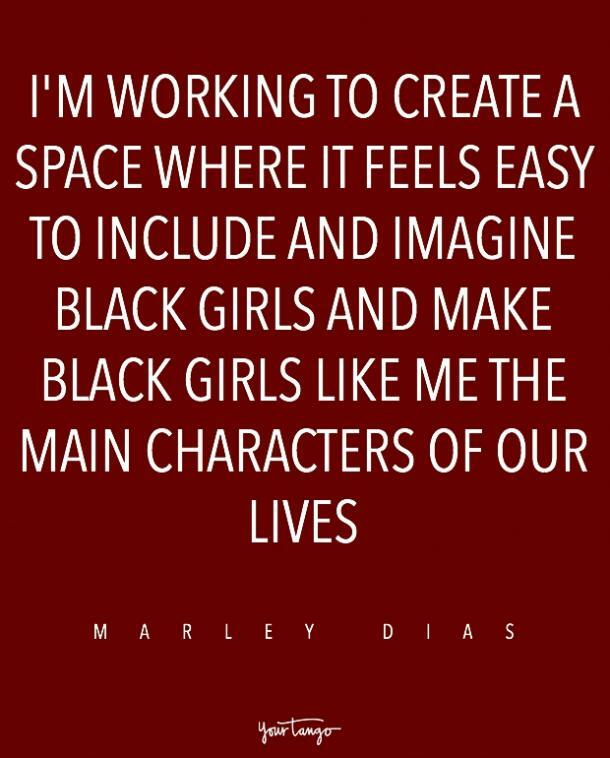 To celebrate Marley’s amazing initiative and mission to bring black girls more representation, here are some of her most eye-opening, inspirational quotes. 1. 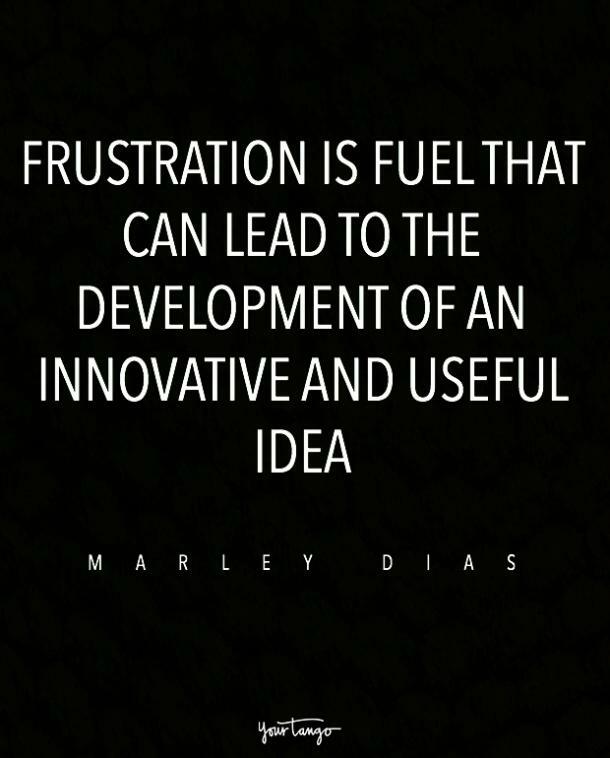 On turning frustration into something positive. 2. On reminding young girls that they matter. 3. On being valued and heard. 4. On having the courage to change the world. 5. 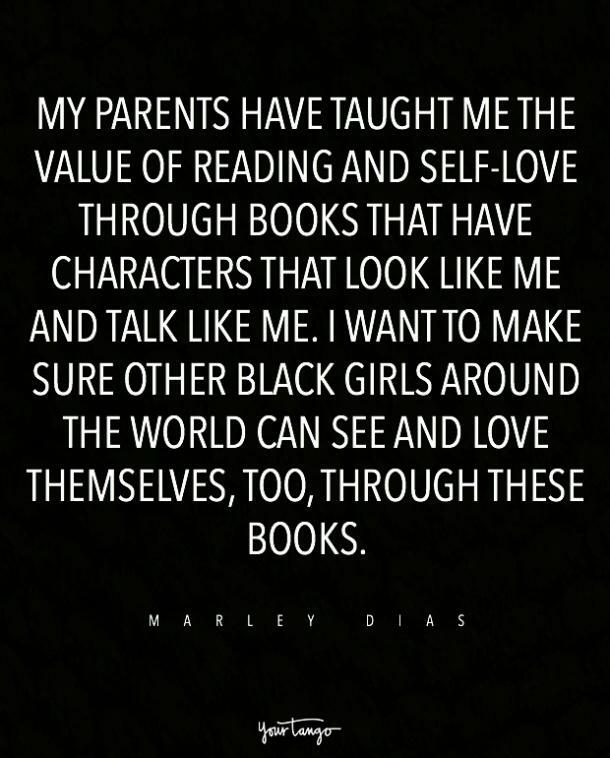 On including black girls as main characters. 6. On making the world a better place. 7. On the value of self-love. 9. On telling black girls that they're beautiful.